There are some weddings that take your breath away. This was one of those. 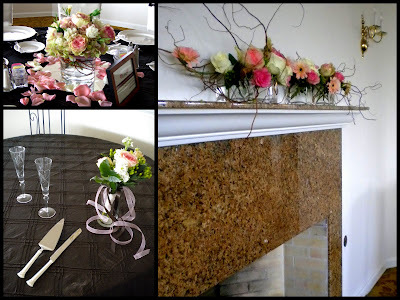 The decor for the ceremony was stunning! The Forest Deck gazebo was draped with our custom white curtains and a ribbon curtain with rose buds that moved with the wind, while underneath a traditional chuppah was decorated with a garland of flowers in beautiful pinks and whites. 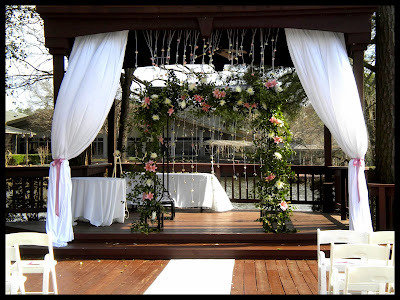 To top it all off there was an additional ribbon curtain that hung from the back of the chuppah with white and dusty pink rose buds that danced in the breeze. 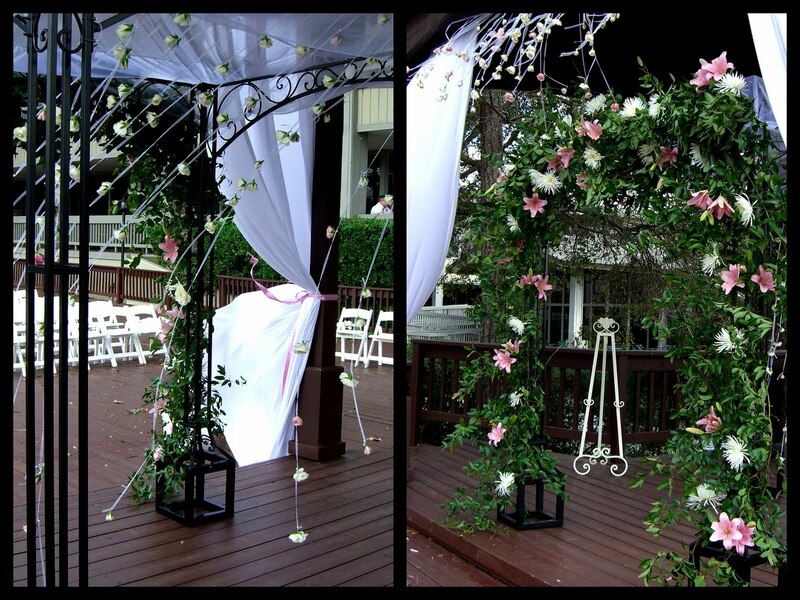 The garland of smilax vine created a beautiful backdrop for the dusty pink lilies and white spider mums. At the beginning of the aisle they had 2 beautiful arrangements in tall cylinders filled with curly willow and big beautiful roses. 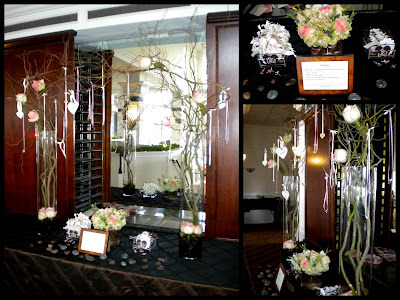 The wishing tree was a beautiful introduction to the Vista room. It was a place where the guests could make a wish for the couple and take a wish from the couple. Each wish would hang in the trees for the couple to enjoy later. Luscious centerpieces filled with antique green hydrangea, two tone dusty pink roses, lisianthus and curly willow were the perfect touch on the tables, while a beautiful longer more fluid piece sat across the top of the mantle. It was a beautiful room that set the perfect ambiance for the bride and groom to celebrate their sacred day.